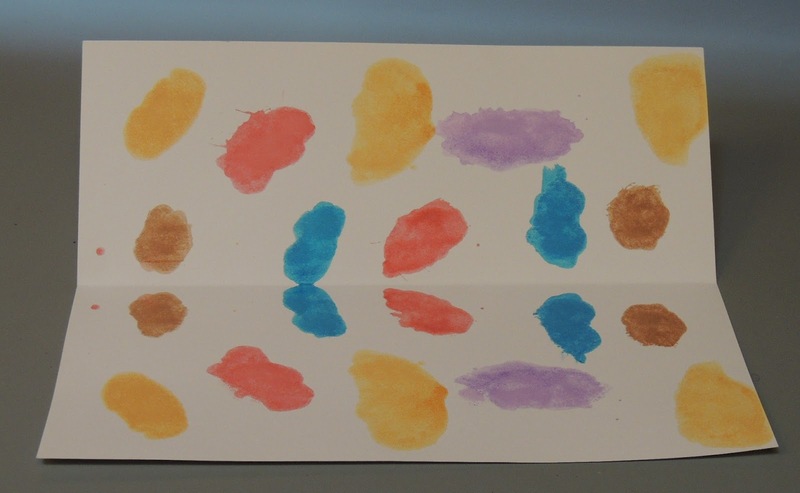 The Blot Painting paint craft is like looking in the mirror; whatever goes on the left side of the paper is reflected on the right. Using the technique is tricky. Don't get too much paint on one side of your paper or you'll end up with one color all over the page. If you place just enough paint on the page and press carefully, you'll get some wild combinations and fascinating shapes.